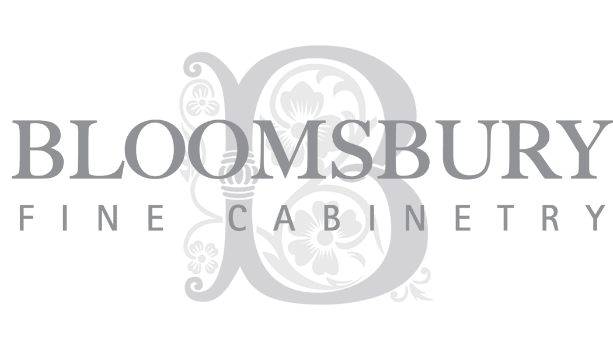 AVONDALE - Bloomsbury Fine Cabinetry Inc. This large elegant home puts a modern twist on traditional style. The kitchen and family room are open to each other and the 11’ tall kitchen area opens up to a 22ft vaulted family room. The space in this home is so well proportioned it still manages to feel cozy. Every element in the house was chosen for harmony and the kitchen is no exception. This kitchen is laid out so well. Everything is where it should be. The kitchens most spectacular element is the custom range hood. It finishes 10’ tall and is so perfectly proportioned with in the cabinetry that truly has a sculptural feel to it. The coffee bar in the centre of a Full refrigerator on the right and full freezer on the left with a double sink across makes a perfect set up for entertaining and clean up. There is a second sink at the other end of the island across from the range so that two cooks and be very comfortable working in this amazing kitchen. This kitchen also boasts a matching walk through servery to the dining room with a small bar sink and glass door display cabinets for china storage, as well as a fully fitted walk in pantry that is every bit the quality of the main kitchen.